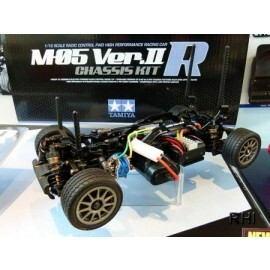 This is a refined, race-spec version of the popular M-05 Ver.II PRO chassis. It features new, dedicated M-Chassis double- cardan drive shafts, plus a number of option parts including TRF short aluminum dampers. 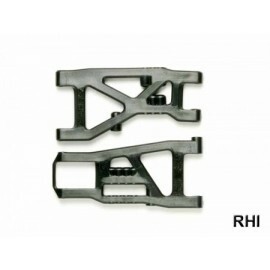 Numerous aluminum parts in the kit have a cool black anodized finish to make the R-Spec version stand out! The M-05 chassis, which was released in 2009, has been a favorite platform for M-chassis club racers for years. 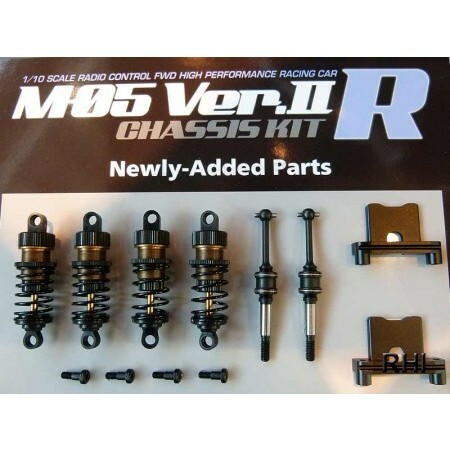 The Version 2 tweaks the proven M-05 with enhancements that take advantage of new battery technologies as well as tried and true suspension adjustments used in many of Tamiya's touring car platforms. Furthermore, it features a number of upgrades, to improve balance and lower the chassis' center of gravity, making it a highly drivable FWD radio control car. 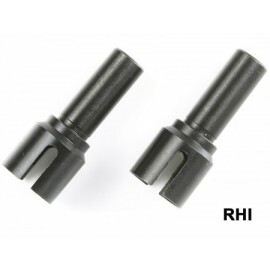 Special feature 1 Newly-designed M-Chassis double cardan drive shafts minimize power loss. Special feature 2 TRF short dampers give superb cushioning and maximize chassis traction. Special feature 3 M-05Ra type uprights ensure that the chassis has optimized cornering characteristics. 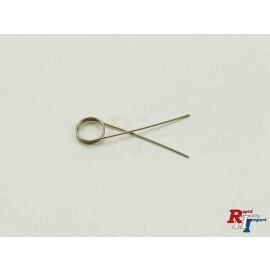 Special feature 4 Hex screws are employed for secure attachment of parts. Special feature 5 Compatible with square-shaped battery packs & low-profile servos. Special feature 6 Combination of black anodized metal parts and dark plastic molded parts.